My name is Sue Hunt. I’m here to help you and your kids to enjoy happy and successful music practice together. As a teacher of 25 years experience, I specialize in making music practice a child friendly activity. I have done years of research into the best ways to help you and your children get full value from the thousands of dollars that you spend on music lessons. 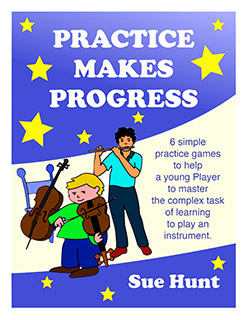 When you start using our music practice games and strategies, you too, can make music practice fun. Step 1: Sign up in the opt in form on the right. 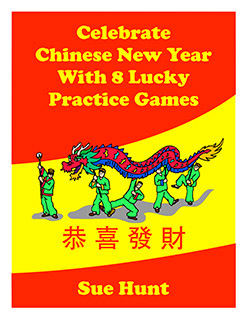 You will receive 6 FREE Games and practice advice, to Make Music Practice Fun. Step 2: Now that your child is beginning to realize that music practice is fun, move forward to Our Grand Practice Adventure Part 1. 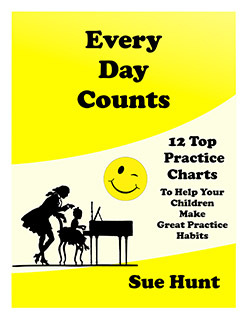 This is a ground breaking practice aid, which comes in daily inspirational emails to inspire parents who want music practice to be happier, and more purposeful. The magic is in the email attachments with tips, games, schedules, certificates and much more. We have a pre-launch 20% discount on the full price on Part 1 (Days 1-10) till till 6th January. Enter the code GRAND16 when prompted and you will get the Part 1 for $4.00. FACT!! Progress in your studio depends on regular music practice. Many students find that this is easier said than done. Often they practice well for a day or two, only to find that they have bitten off more than they can chew. Our Grand Practice Adventure will take you through the stages from Part 1 to Part 5. MORE INFO. The game of the week is for parents who know about the link between daily practice and progress. They come in 4 downloadable seasonal collections. MORE INFO. 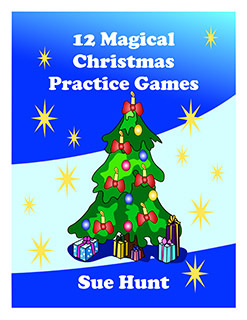 A colorful absorbing downloadable Music Practice Game for one or more children and a helper. 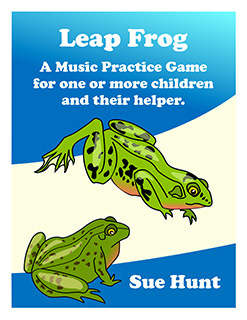 Since we all learn better and more quickly when we are enjoying ourselves, Leap Frog quickly adds value to practice time. You can even customize the game to your child’s attention span. MORE INFO. It’s your child’s birthday and you have committed to helping with daily music practice, Help! How are you going to cope? 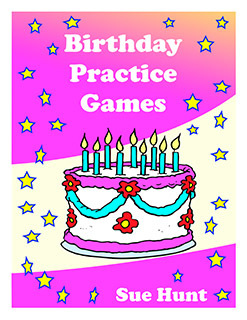 Download 6 great Birthday Music Practice Games, of course! MORE INFO. 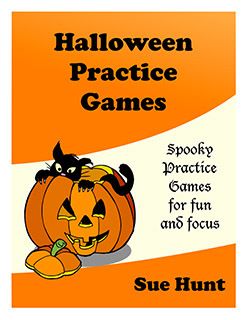 Take the Boo Hoo out of practice with our 11 spooky downloadable music practice games. Improve your child’s ability to focus, while having FUN with some great seasonal practices. MORE INFO. 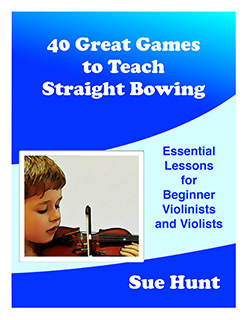 We are excited to present this exciting new resource of 40 tried and tested games and strategies to help a young violinist play with a straight bow. All you need to make working on bow control fun and effective. Add to the shopping cart, download and use. MORE INFO. FACT!! It can take thousands of correct repetitions to turn knowledge into a skill. FACT!! Children don’t like hard boring work and will do anything they can to get out of it. 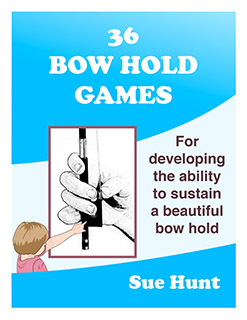 Learn how to work with productively with your child with 36 Beginner Bow Hold Games. It has been compiled to give beginners stacks of enticing opportunities to make and sustain a beautiful bow hold. MORE INFO. Making it Fun, Gets the Job Done How do you have your kids totally engaged and focused on what really needs to be done, without loosing your cool? How do you create a brand new learning experience, where the brain is curious again? How can teachers and parents communicate so that they know exactly what needs to be practiced? 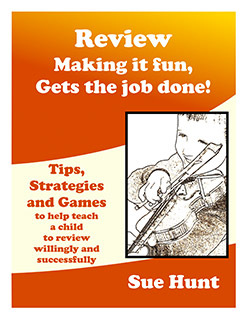 Review – Making it Fun Gets the Job Done will show you how to make review FUN and productive for your children. 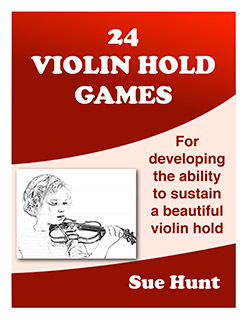 This ebook is a must for violin and viola teachers and parents who are struggling daily, to get kids to work at their old pieces, that they think they know already. MORE INFO.